Crick Marina is owned and operated by Tim Langer, who began business on the inland waterways in 1992 when he founded Canal Craft Narrowboat Brokerage. Canal Craft started at North Kilworth, but moved to larger premises at Bugbrooke in 1994, and was sold in 1997. The frequent difficulty of finding moorings for narrow-boat purchasers prompted Tim to seek a suitable site to develop his own marina, and an ideal site was found at Crick. The intitial 110-berth basin opened on time in April 1996 and was very soon fully occupied. Three years later an extension of 76 berths was built at the southern end of the basin, which enabled the Crick Boat Show to be held for the first time in 2000. A further 87-berth extension opened in December 2007, bringing total capacity to over 270 boats. Day-to-day operation of the marina is in the capable hands of Harbour Masters Gary & Sue Hall. 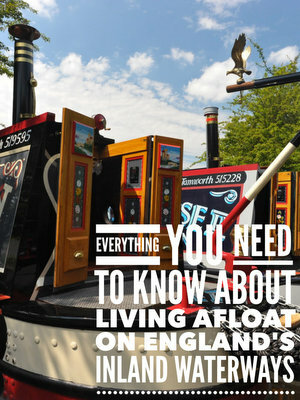 Written by Jim Shead: First published in Waterways World February 2006. Crick is a quiet private marina that is normally closed to everyone except moorers and those with business at the marina so it is paradoxical that it is best known as the host for thousands of people during the Crick Boat Show in May each year. Situated on the beautiful twenty mile summit of the Grand Union Canal Leicester Section it provides boaters based there with excellent local cruising and access to a number of routes within a day’s cruising time. The marina is run by Tim Langer, whose first involvement with the waterways was with Canal Craft narrowboat brokerage, which he founded in 1991. Initially this was at North Kilworth, also on the Leicester Section, then the business temporarily moved to Crick Wharf and finally to Budbrooke Marina on the Grand Union Main Line. In 1997 he sold Canal Craft to its present owner, David Dawson. In 1995 he started work on Crick Marina and it was opened on 1st April 1996, with 120 berths in what is now the north end of the marina. Unfortunately the spoil from digging out this first phase of the marina was deposited on the south end of the site so that three years later when an extension was built there all the soil had to be moved again. When they had some cruisers and shorter craft the marina held up to 195 boats but now with mostly longer boats, including some 70-footers, it holds about 185 boats. The Crick Boat Show has been a big factor in putting the marina on the map with a wider audience, although the moorings have been over subscribed from virtually day one. The marina on its own does not have the ground area to accommodate the whole show so it is fortunate that the landowner of the site also owns a lot of surrounding land, including the adjoining large flat fields, which provide the site for show exhibitors, car parks and camp sites. This combination of the marina and adjoining land makes the staging of the show possible. The show moved from Braunston to Crick at short notice in 2000 when it was held there as a one year only event. After that it was extended for the years 2001 – 2005 under a 5 year arrangement. 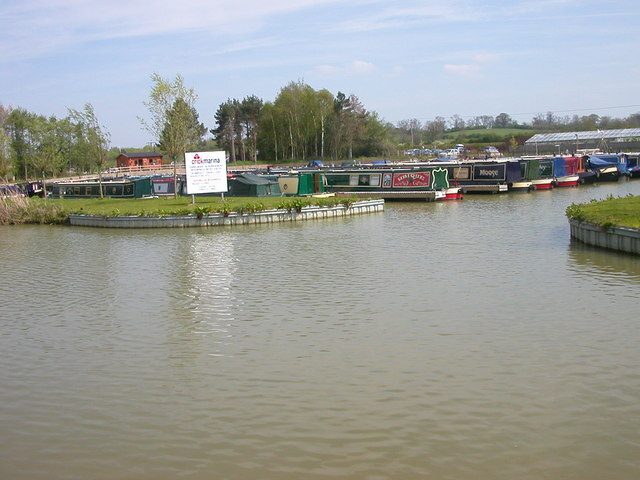 The contract for Crick Marina to provide facilities to British Waterways for the next five years (2006 – 2011) to run the boat show is currently under discussion. British Waterways have plans to expand the content and raise the profile of the show. BW run the whole of the Crick Boat Show except for the clearing of 44 berths for the exhibitors, which is done by Gary and Sue Hall the marina harbourmasters. Boats are moved to temporarily spare jetties and to the spaces between the long jetties that are normally used for access. At the time the idea for the marina started Tim was running his brokerage business at Crick Wharf and was put in touch with the farmer who owns the site. No significant problems were encountered when he approached the local planning authority about the first phase of the project although there were some problems concerning the spoil disposal regulations for stage two. Now he is looking at the possibility of a further extension to the moorings next year, partly as an extension to the mooring business and partly to provide more space for exhibits at the Crick Boat Show.